I never realised quite how many Cosy Mysteries I read. There are certainly people who read significantly more–I can think of at least one person who curates quite an impressive database of Cosies–so maybe I fall somewhere just beyond the shallow end of the pool. If I read a glut of them all at once, I begin to feel guilty and/or boring (I used to read other genres!) but it’s so ridiculously easy to breeze through five or six of them in a relatively short time. And Cosies tend to go on as some of the most prolific series you’ll ever see. Agatha Raisin is one of the long runners that had been on my list for some time. I was already familiar with the author, and accustomed to consuming her work at an exhaustive (possibly unhealthy) pace. The titular character is a snarky middle-aged woman who retires from the cutthroat business of PR to a cottage in the Cotswolds. This could have been a fairly pedestrian setup, if it weren’t for Agatha’s particular quirks of character. She is rude, selfish, an inveterate cheater (in the non relationship way) and she has a painful knack for doing the wrong thing at the wrong time. Agatha’s insecurities and negative traits make her compelling, while her redeeming qualities make her worth getting to know as a character. Intending to establish herself in a positive position in her new home, she finds out about a quiche-baking competition and sets out to win it by underhanded means. First she softens up a judge by taking him and his wife to dinner, and then she buys her potentially prize-winning quiche from a shop in London. Of course it backfires. The quiche kills the judge and not only is Agatha under suspicion for murder, but the whole village knows she cheated. One thing to look forward to in Cosy Mysteries that doesn’t always pay off for me is the cast of supporting characters. Agatha Raisin has a fair balance of forgettable but serviceable side characters and long-running acquaintances. My absolute favourite is Bill Wong, the detective who becomes Agatha’s first friend in Carsley and generally tells her not to investigate even when he benefits from her investigation. Bill is in his twenties, idealistic about people, and shows most of his maturity through insight. He and Agatha genuinely enjoy each other’s company, and I love seeing their friendship develop over the series. Cosy Mysteries tend to either rely on a gimmick (witchcraft, knitting, baking) or the main character’s charisma or archetype (older woman, dog-walker, chef–food is kind of a baseline standby for Cosies), however, I’m not sure if that’s the case for Agatha Raisin. She is the centre point of entertainment and I suppose Village Life could be the gimmick/hook. It feels more like a series based around this character who happens to solve mysteries. The books are all light, quick reads that guarantee some laughs and heartfelt moments. I highly recommend this series for reading in times of stress or depression. Wonderful pick-me-ups. NOTE: This review is slightly edited/enhanced/betterised from the original posted on Goodreads. All reviews from now on will be betterised. 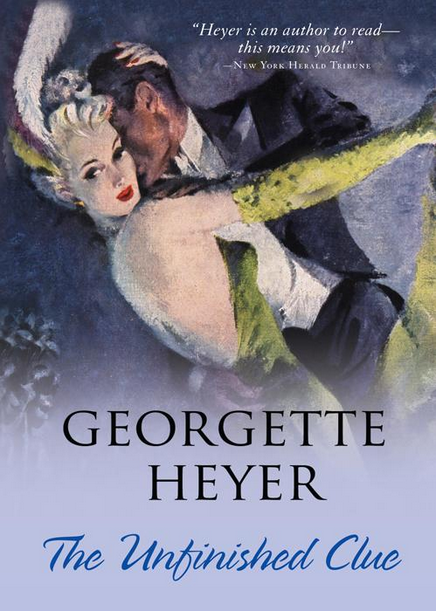 Georgette Heyer is just amazing. Incredibly prolific authors tend to fall into two categories: universally adored, and marvelled at for the work volume but not much else. Like Agatha Christie, Georgette Heyer is in the first category. But we’re not here to talk about The Talisman Ring. We’re here about General Thingy and The Unfinished Clue. It’s not as humorous or witty, but it definitely does not lack the Heyer tang. One thing that Agatha Christie has taught me is that I like mysteries with unpleasant victims. The General is a blustering brat of a man, and though his death isn’t a relief, there was no immediately clear view of just who murdered him. The harried second wife? The emotionally excitable son? The list covered just about everyone. Including the bizarre Mexican dancer, Lola de Silva. Some context is necessary. I’m half-Hispanic. Third generation American from Mexico on my mum’s side. And I thought this character was equal parts hilarious and obnoxious. 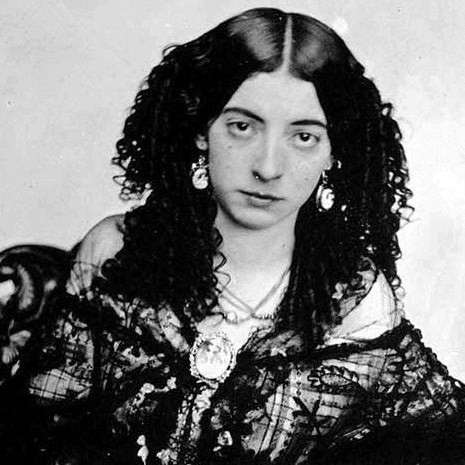 She’s so very clearly a British idea of a Mexican, that I thought she was a sort of shout-out to Lola Montez, who was Irish. So I saw no reason at all to be offended. How could you not want her in your novel? She is also in Royal Flash. Sometimes the pace slows down too much, particularly after the murder. That’s always a risk with this style of mystery–house guests accused of murder, real DIs don’t solve mysteries overnight. It didn’t bother me. The book is not overly long, and the slow pace is not a neon sign blinking PADDING PADDING PADDING. And Dinah was funny. I wish there had been a bit more of her, since she’s basically the bright young thing who is smarter than the average bear girl. But I guess there was technically enough. Her romance with Inspector Harding was cute and unobtrusive. When I first realised how the ending was going to go down, my eyebrow went up, but then (spoiler, highlight to read) they read the confession letter, and I could kind of understand why the murderer committed suicide. The only reason it bothered me was that I have seen it in quite a few mysteries. It has to be done well or I get twitchy. I still don’t know if I think this one was done well or not. This is only the second Heyer book I have read, and it’s the first murder mystery one, so I can’t really recommend it among the greater body of her work. I liked it, but it’s not one I would gush about like The Talisman Ring. Seriously, go read The Talisman Ring.